Call Carol Knott and Put Her to Work for You! Sit down with the lead agent on our team and tell her all about your ideal home or reason for your upcoming move. Carol has called this community home for decades, and her experience makes a difference. Finding the right residence can be complicated in a metropolitan area as diverse as the one we call home. Our agents have access to a broad array of tools and numerous listings. Start a conversation with a member of our team and get the answers you need about every aspect of the home buying process. Get the specialized attention you deserve. In addition to your sincere time and effort we felt a “connection.” We saw more of you in two days than we saw of our previous listing agents in three months. We felt like your customer service was nothing short of EXCELLENT. We always felt that calling you with a question was more than welcome. You made us feel like we were your “Million Dollar Customer” when we know that we were far from that. You have a friend and customer for life. ~ Danny and Claudia G.
Carol Knott was wonderful to work with! She is a very gracious lady, whom I would have no trouble whatsoever working with again! Thanks Carol for all your knowledge and help keeping me headed in the right direction! I hope we weren't too hard or too demanding to work with! Carol far exceeded the level of service considering that my quest for a home was over a year. Carol’s patience and resourcefulness make her the best real estate agent I have had the pleasure of doing business with. Most excellent! Carol far exceeded the level of service considering that my quest for a home was over a year. Carol’s patience and resourcefulness make her the best real estate agent I have had the pleasure of doing business with. Very helpful and pleasant to work with! Thank you very much! You answered all our questions and you took the time and effort to find out information about the house and mortgage company. This is the third time we have used Carol. Hopefully the last but if it is not, we will use her again. ~ Fred and Sheryl G.
Choose a real estate broker in Spring, TX, that has your needs covered. The Hometown Team is ready to find the perfect home for you and your family. Whether you are a first-time home buyer, a family in need of more space, or an experienced investor looking for new opportunities, our team of real estate agents in Spring, TX, are ready to provide you with a customized solution. Since 1999, Carol Knott and her team have exceeded the expectations of home buyers in this area. Through innovative marketing, customized buyer’s assistance, and personalized service, our brokerage has matched families with homes in a broad array of area developments. In accordance with Texas law as a real estate licensee, we educate our clients, whether they are prospective buyers, tenants, sellers, or even landlords. Please request to view our consumer protection notice and get a full understanding of your rights through this process. Find a home that allows you to enjoy life to the fullest with our full suite of real estate services. We help prospective buyers sort through thousands of listings and numerous communities that you could call home, to help you find the perfect destination. When your current home becomes too small for your growing family, upgrade to a larger residence and list your existing house with our team. 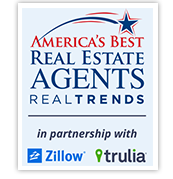 Each of our agents has the training and experience needs to complete a broad array of real estate transactions. Move to one of the premier planned communities in the country when you purchase one of the homes for sale in The Woodlands, TX. Live in a development that features walking paths, shopping, and some of the finest restaurants in the area. The Woodlands was founded in 1974 as a dream of George Mitchell. Today, it is home to almost 110,000 residents and boasts 7,790 acres of green space, 130 neighborhood parks, 205 miles of hiking and biking trails, and a 200-acre lake. The Hometown Team can help you move to this vibrant community or any other destination that fits your specific needs. Contact our real estate team today and start putting down roots in a community you will quickly fall in love with. We proudly serve homeowners in Spring, The Woodlands, Conroe, Tomball, and Houston, Texas, and surrounding communities.